Borce Ristevski's son speaks out about his stepmum's murder. “I saw it in his eyes": Borce Ristevski's son claims he knows how his stepmother was murdered. On April 18 2019, Borce Ristevski was sentenced to nine years in prison for the death of Karen Ristevski. In the months after Karen Ristevski went missing, Borce Ristevski had the public convinced he was a nothing more than a concerned husband, desperate to find his beloved wife. 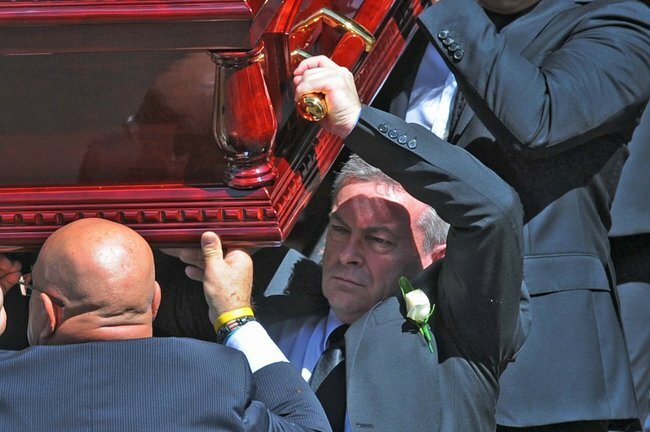 He made televised, emotional pleas for help from the public to find her, and when her body was found eight months after she was first reported missing, he took on the role of grieving widow – carrying her coffin at the funeral, tears rolling down his face. Borce Ristevski at Karen&apos;s funeral. Image: Getty. He even buried his wife with a double headstone, with one side left blank for the day he joins her in death. Then on March 13 this year - almost two years on from the day Karen died - he confessed to killing her, sensationally pleading guilty to manslaughter just hours before his murder trial was due to start. But while the confession came as a shock for many, his son, Anthony Rickard, said it only confirmed what he&apos;d always known, claiming he "saw it in his fathers eyes" days after his stepmother was reported missing. “I saw it in his eyes,” Rickard said. “I seen one eye s**tting itself and one eye like the Terminator. 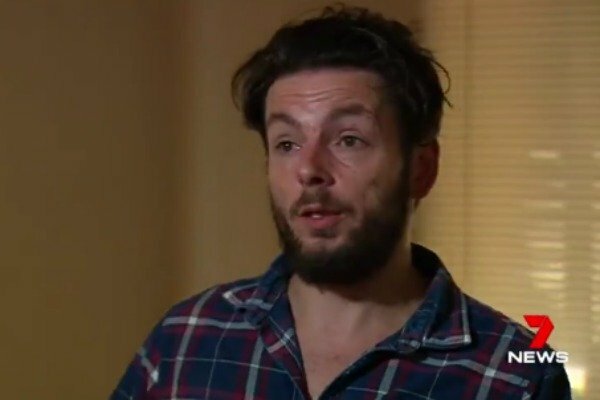 And I knew,” he told Seven News of watching his father front cameras not far from the family home at Avondale Heights. In the same interview, Rickard even claimed he knows exactly how his stepmother was killed. Now, he wants his father behind bars for "at least 20 years". “I think he acted out of um, not on purpose, but he did obviously choke her. She’s a tiny woman. Just a little squeeze would’ve been enough." But while he initially speculated that his father had not planned to kill his wife, he later claimed that Borce “did it for money”. “(Karen) said to him: ‘I’m going to destroy you, Borce. I’m going to leave you with nothing’. Rickard&apos;s claims came the night before Ristevski’s pre-sentence hearing, which will take place in the Victorian Supreme Court today. It&apos;s not the first time he&apos;s been outspoken about the murder of his stepmother. Speaking with news.com.au the day after Ristevski pleaded guilty, Rickard claimed he was responsible for his father’s surprise admission. Karen, Borce and Sarah Ristevski. Image: Facebook. “I am responsible for this, I gave him an ultimatum,” Mr Rickard said. Rickard is referring to a long-running sexual relationship he had allegedly engaged in with his late stepmother, which he says began when his father took him in as a troubled teenager. 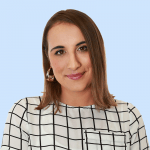 According to Rickard, Ristevski opted out of a trial to save his 23-year-old daughter Sarah from the details of her estranged brother&apos;s alleged affair with her late mother. 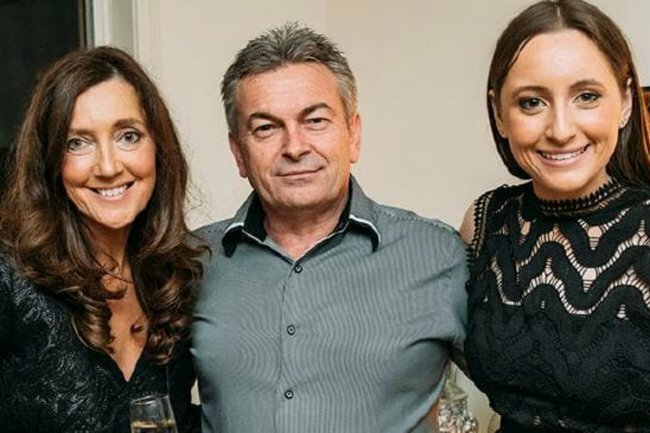 Sarah Ristevski has stood by her father from day one, boycotting police early in the investigation when they labelled her father their prime and only suspect in her mother’s murder. Borce Ristevski has not revealed how his wife was killed or why. Ms Ristevski’s body was found by a passerby in February 2017. The 47-year-old boutique fashion store owner&apos;s body was stuffed between two logs at Mount Macedon Regional Park. Prosecutors alleged during Mr Ristevski’s committal hearing that the 55-year-old bundled his wife’s body into the boot of her car and drove it to the location it was discovered, an act for which Mr Rickard says his father deserves a lengthy jail sentence.